A 10-month-old baby who received life-saving surgery was part of the delegation delivering a petition calling for the heart unit where she was treated not to be closed. Elijah Whitehouse and mum Jess joined cross-party MPs from across the region yesterday (Thursday) in taking the 130,000-name petition to the Prime Minister’s residence at 10 Downing Street. Elijah was born with two holes in his heart but was saved by surgeons at the East Midlands Congenital Heart Centre, at Leicester’s Glenfield Hospital. NHS England today launched a consultation into proposals to close the unit, which treats children born with heart defects, on the grounds that it doesn’t meet its healthcare standards. John Adler, chief executive of the University Hospitals of Leicester NHS Trust, said: “We fundamentally disagree with what NHS England are proposing, not out of parochial self-interest but because we fail to see how the closure of a growing, high performing centre, with excellent results, beloved of its patients and serving a community of some five million people in our region, is in any way in the interests of those patients and their families. The consultation runs until 11.59pm on Monday June 5 and comments can be made online at https://www.engage.england.nhs.uk/consultation/chd/ on the consultation documents. A spokersperson for NHS England said: “It is our intention that public consultation on our proposals for congenital heart disease services is as accessible and wide-ranging as possible. 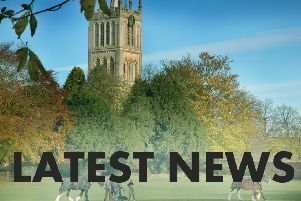 “We are planning a number of meetings in the Leicester, Leicestershire and Rutland areas, as well as attendance at Health Overview and Scrutiny Committees and Health and Wellbeing Boards.